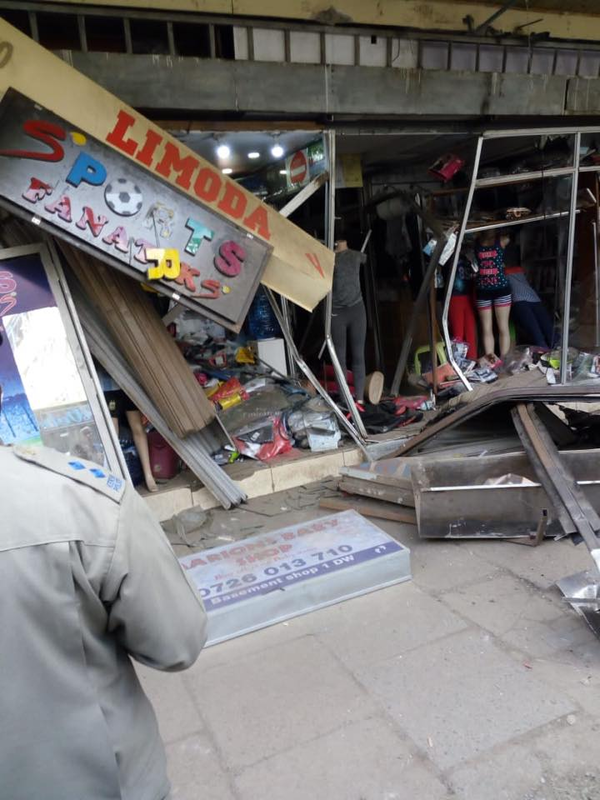 A Matatu driver brought nothing but chaos in town on Sunday after speeding and losing control. 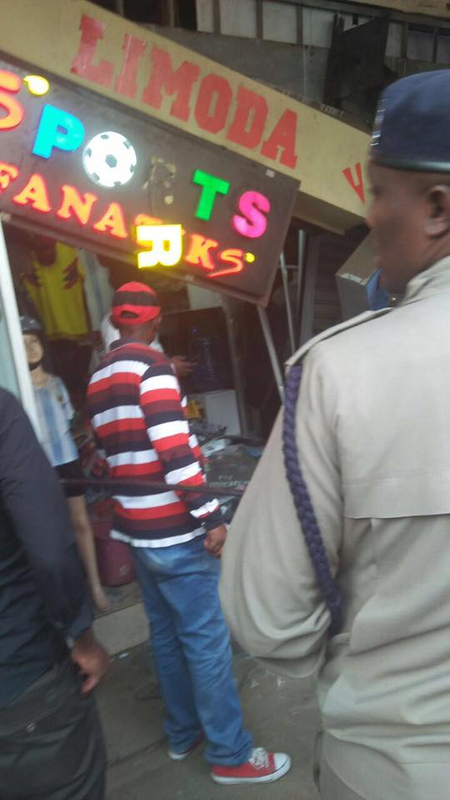 The driver, who was drunk, lost control and rammed into a shop along Moi Avenue then ran away before police arrived. It’s not yet clear if passengers or pedestrian were hurt during the fiasco. 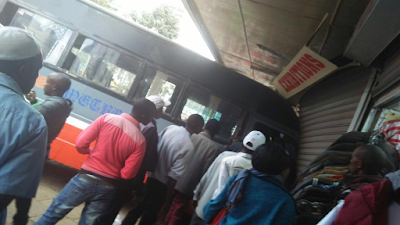 Traffic Police have been working hard to fight Matatu menace that has been going on for years now but it seems they are not moving anywhere as almost everyday there’s a case reported.